#1 New York Times bestselling author D.J. MacHale is back with the third book in the SYLO Chronicles.Once again, Tucker Pierce and friends must fight for their lives against the better-equipped SYLO. 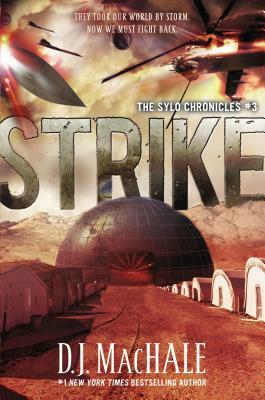 All bets are off in Strike with twists so big readers will never see them coming while the action and pulse-pounding suspense remain as high as ever. Fans will be sure to devour this incredibly satisfying conclusion. D.J. MacHale is the author of the bestselling book series Pendragon: Journal of an Adventure through Time and Space, the spooky Morpheus Road trilogy, and the whimsical picture book The Monster Princess.He has written, directed, and produced numerous award-winning television series and movies for young people includingAre You Afraid of the Dark?, Flight 29 Down, andTower of Terror. D.J. lives with his family in Southern California. You can visit him online at WWW.DJMACHALEBOOKS.COM"